In addition to personalizing a gift with a name or logo, we can also personalize gifts by having them reflect what you know about the recipient--their interests, hobbies or preferences. Contact us to discuss the possibilities. 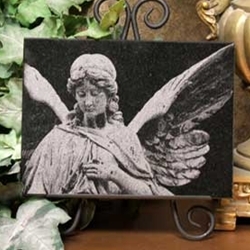 Many of our suppliers can incorporate your name or logo, or the gift recipient’s name as a part of the gift item—imprinted, laser-etched, carved—with low or even NO minimum quantities required. Starting at $24.00 per unit. Phone for pricing details. 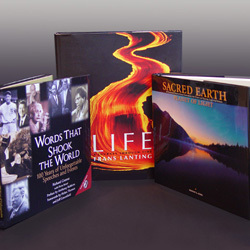 For that most unique gift, present a beautiful volume of your selected book and have the title page customized for the specific recipient and bound into or tipped into the book. You craft the message to be included, add the name of the recipient, the date and add in your own (digital) photograph, company name and/or logo. Wide selection of titles. NO MINIMUM QUANTITY IS REQUIRED. 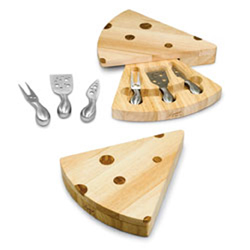 eco-friendly rubberwood--a hardwood known for it rich grain and durability-- with bamboo inlays depicting the holes Swiss cheese is known for. The 10" x 11.5" x 1.9" cheese board swivels open to reveal three brushed stainless steel cheese tools with "Swiss cheese" holes on the face of each tool. $35.00 Many other designs are available at varying price points. 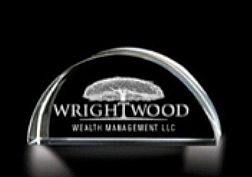 All can be laser engraved with your company logo at modest additional cost (12 pc. minimum). These wonderful soaps can be carved with the name or monogram of the recipient. Available gift boxed as single bars or in a 3-soap gift box. THERE IS NO MINIMUM QUANTITY REQUIREMENT. Polished black granite tiles are available in 4" x 12" and 6" x 6" sizes. Also available are 4" x 4 " Slate Coaster Sets (four coasters per set). Blank tiles can be customized with digital photograph, company name, logo and choice of wording. (25-pc minimum). Phone for pricing and details. "We wanted to let you know that (name of recipient) called...yesterday. FANTASTIC call on the Food Journeys book with the custom title page! He said it's 'the best gift he's ever gotten!' "
HollyBarry House is the best marketing tool a business owner could have!